The attached is a brief art review from 1946 announcing an exhibition of paintings, drawings, photographs, architectural plans and models by the modern architect Le Corbusier (né Charles-Édouard Jeanneret-Gris, 1887 – 1965) at the Mezzanine Gallery in Rockefeller Center. 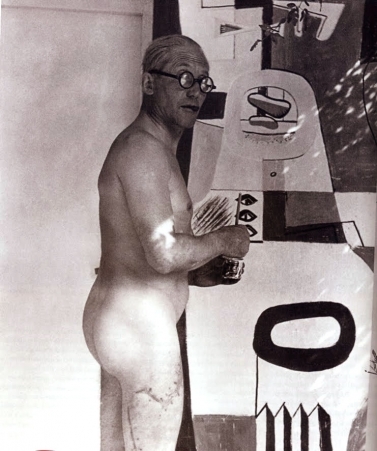 "Along with Ozenfant, Le Corbusier invented Purism. The earliest painting in the collection, and the only one of that period (1920), which is familiar to art audiences as part of the permanent collection of the Museum of Modern Art."